Degrees: B.Sc. 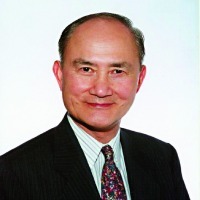 Tsing Hua, Ph.D., D.Sc. Newcastle-upon-Tyne, F.I.Mech.E., F.A.S.M.E., C.Eng. The 2nd edition of the book Terramechanics and Off-Road Vehicle Engineering by Dr. J.Y. Wong, Professor Emeritus and Distinguished Research Professor in the Department of Mechanical and Aerospace Engineering, has recently been published by Elsevier, Oxford, England. This new edition includes the results of recent research on off-road vehicle mobility. They include the research and development of a series of computer-aided methods for performance and design evaluation of both wheeled and tracked vehicles. These methods have been regarded as the most advanced in the field. They have been gaining increasingly wide acceptance by industry in the development of high-mobility off-road vehicles; and by governmental agencies in the evaluation of vehicle candidates from the procurement perspective, in North America, Europe, Asia and Africa. Recently, Glenn Research Center of the National Aeronautics and Space Administration (NASA) has adopted Dr. Wong’s computer-aided method for design evaluation of off-road wheeled vehicles in the development of NASA’s new generation of astronaut-carrying lunar rovers for future extended human missions to the Moon. This recent publication follows the 2008 publication of the 4th edition of another book by Dr. Wong, “Theory of Ground Vehicles”. This book has been adopted by many universities in North America, Europe, the Middle East and Asia as text for courses in vehicle engineering. It has also been widely used as reference by professionals in industry and research organizations and extensively cited in the literature. A previous edition of this book was translated into Russian and Chinese and published in Moscow and Beijing, respectively.